Lilo & Stitch (film) On the Hawaiian Islands, a lonely little girl, Lilo, adopts what she thinks is a dog. She names her pet Stitch, completely unaware that he is a dangerous genetic experiment gone awry who has escaped from an alien planet. Stitch’s only interest in Lilo is using her as a human shield to evade the alien bounty hunters who are bent on recapturing him. 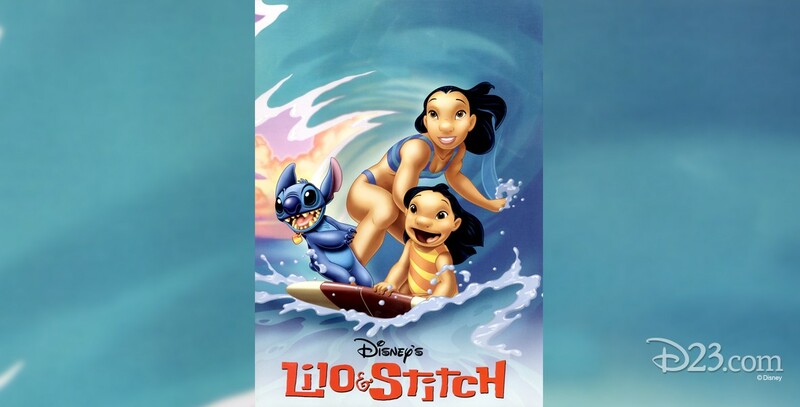 In the end, Lilo’s unwavering faith in “ohana, ” the Hawaiian tradition of family, unlocks Stitch’s heart and gives him the one thing he was never designed to have—the ability to care for someone else. Released on June 21, 2002. Directed by Chris Sanders and Dean DeBlois. Voices include Daveigh Chase (Lilo), Tia Carrere (Nani), Ving Rhames (Cobra Bubbles), David Ogden Stiers (Jumba), Kevin McDonald (Pleakley), Jason Scott Lee (David Kawena), Zoe Caldwell (Grand Councilwoman), Kevin Michael Richardson (Captain Gantu). 85 min. Music by Alan Silvestri. Co-director Chris Sanders also provides the voice of Stitch. Produced primarily at Disney’s Feature Animation facility at Walt Disney World in Florida. Nominated for an Academy Award for Best Animated Feature. Released on video in 2002. There was a direct-to-video sequel, Stitch! The Movie in 2003 and another Lilo & Stitch 2: Stitch Has a Glitch in 2005.